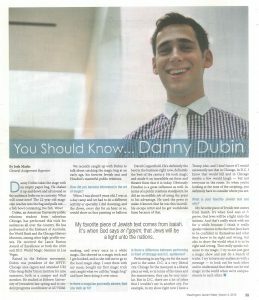 Danny Dubin performs magic nationwide, helping create memorable moments for private parties and corporate events. He performed magic live on FOX and WGN News. Dubin entertained guests at the Embassy of Australia, the World Bank, the Chicago History Museum and even performed for the Former Queen of Iran. Dubin received the “Lance Burton Award of Excellence” at both the 2010 and 2011 World Magic Seminar in Las Vegas; (learn more about his accomplishments). His show today consists of comedy, illusion and extraordinary moments based on experiences performing nationwide. 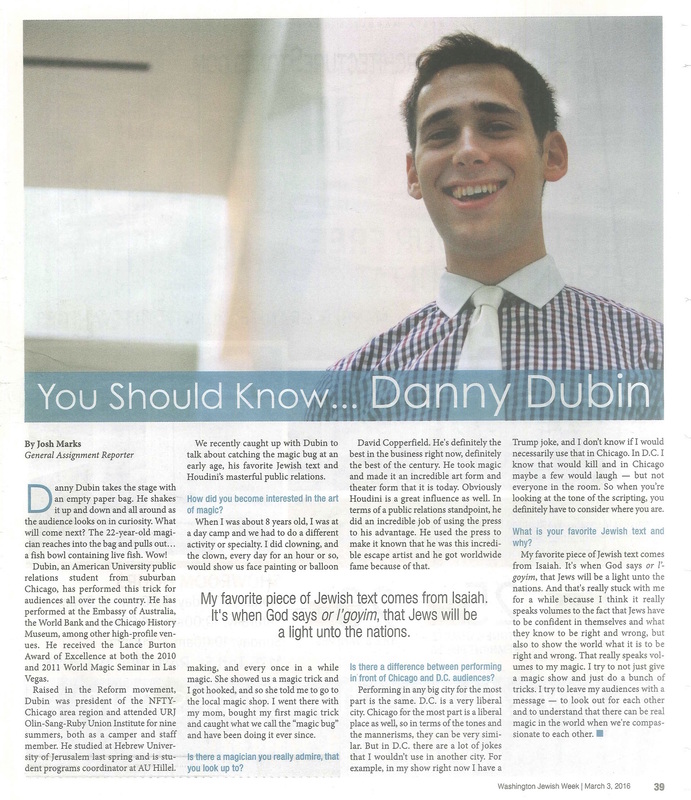 Danny Dubin has been featured by FOX News, WGN-TV, Washington Jewish Week, Chicagoland Chamber of Commerce and Oy! Chicago.